The following guide will provide information on how you can export and/or transfer your DNS zone files. This method is best if you want just a personal backup of your DNS. Log into the Media Temple Account Center. Look for the DNS & ZONE FILES box. Then click on Edit DNS Zone File. 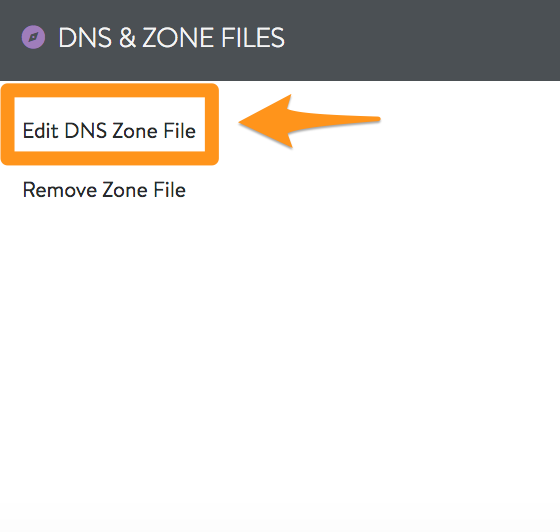 Scroll to the bottom of your Edit DNS Zone file page and you should see an option to EXPORT ZONE FILE. A .txt version of your zone files will be downloaded. You can open this file in a text editor and you should see your zone files. The .txt file is ony meant to be used as a written backup for reference and cannot be re-imported to the Account Center. If you wish to "import" the zone files, this can be done by opening the .txt file and copy/pasting the data into the Account Center. Move DNS within the same account. 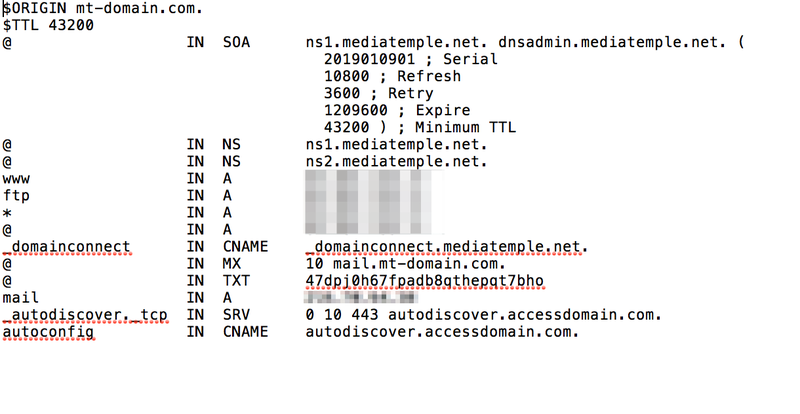 This method can be used if you wish to move DNS to a different server that are BOTH in the SAME Media Temple account. Contact Support to submit a request for a DNS move. Support can be reached by opening a support request, starting a chat, or by calling us at 1.310.841.5500. For support requests, it's best to be as specific as possible with the name of domain to be moved, and the name of the service the domain is moving to/from. "I am requesting to have the DNS zone files moved for mt-domain.com from my Grid Personal (primarydomain.com) to my Plesk server (primarydomain2.com)"
Keep in mind there is the possibility that some DNS might not always get carried when the move occurs, so we recommend exporting the DNS using the instructions above before requesting a DNS move. Transfer DNS to different account. This method is used if you wish to transfer DNS from one Media Account to a separate Media Temple account. Have the ACCOUNT OWNERS of BOTH accounts submit a support request, requesting for the DNS to be moved. Note: For data protection purposes, a written support request from BOTH accounts is always required, even if your name is listed as the account owner in both accounts. 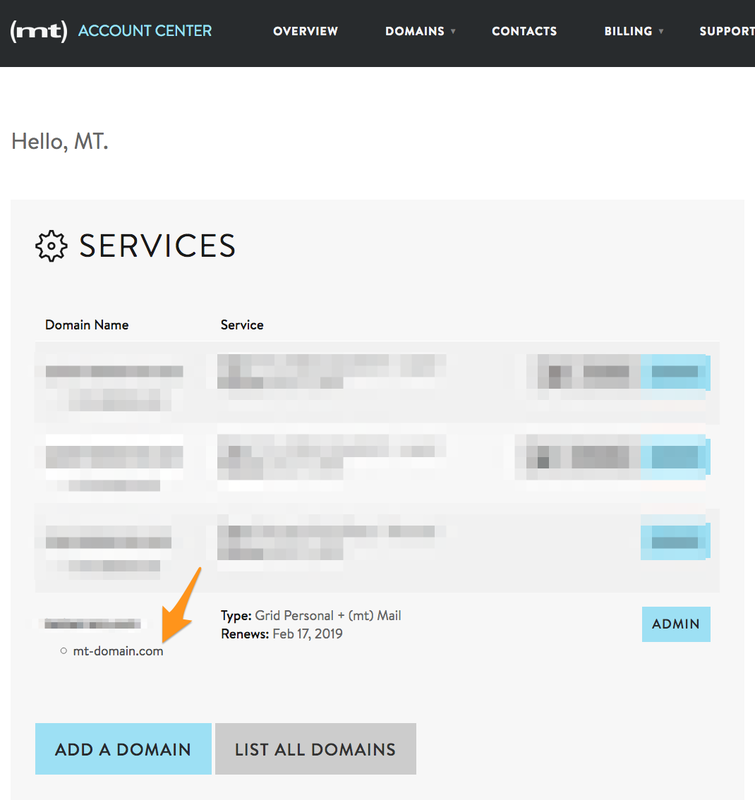 For support requests, it's best to be as specific as possible with the name of domain to be moved, and the name of the service/account the domain is moving to/from. "I am requesting to have the DNS zone files moved for mt-domain.com from the Grid Personal (primarydomain.com) in account #12345 to the Plesk server (primarydomain2.com) in account #54321"